One of our preferred websites for online photographs is Pixabay (www.pixabay.com). Participants can easily copy images from Pixabay, load them into the MyMoments.Mobile app, and quickly transform them into personal images that bear little resemblance to the original photos. This is one of our favorite examples of images that began as online photographs. 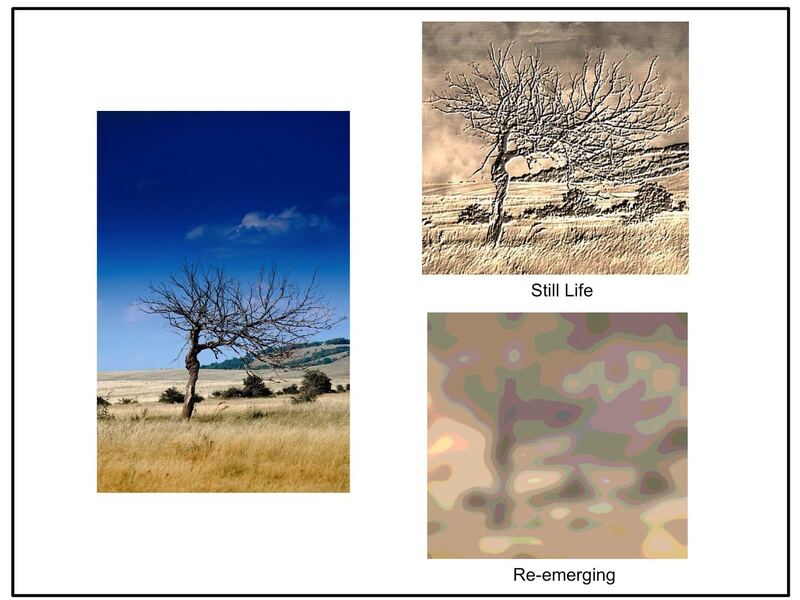 In this case, the participant selected a tree from the Pixabay site, and transformed it into two distinct expressive images.